Win 'A Walk Among The Tombstones' on Blu-ray! Win ‘A Walk Among The Tombstones’ on Blu-ray! Posted January 10, 2015 by William Martin & filed under Win. 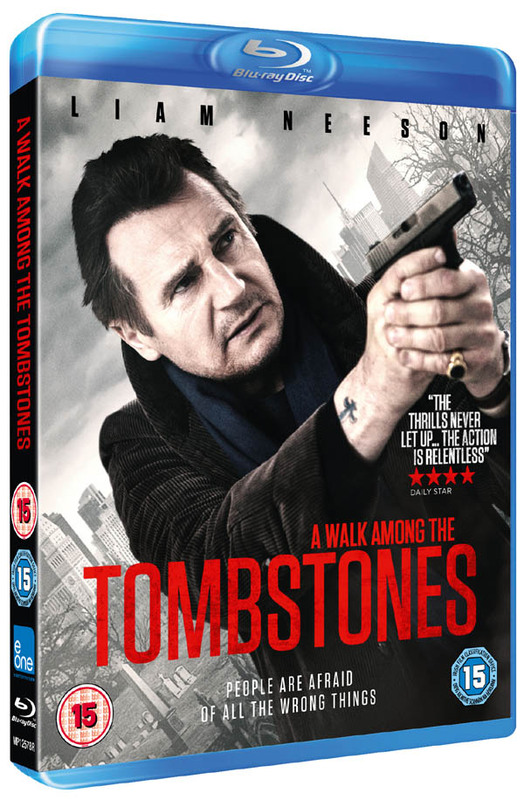 A Walk Among The Tombstones is available on Blu-ray and DVD from Monday 19 January 2015, courtesy of eOne. This competition has now closed. The winners are Sue Eades from Oldbury, Elaine Lyons from Croydon and Mike Kane from Bournemouth. Win ‘A Walk Among the Tombstones’ goodies!